In light of the many security incidents we can read about in the press, security continues to be a formidable challenge for many businesses. We believe that the move to a professionally managed secure Cloud infrastructure can help address this challenge. 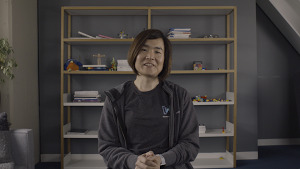 Last week, Urs shared his thoughts on security, and we announced new initiatives such as Access Transparency as part of more than 20 security updates and enhancements to help enterprises protect their data and stay secure. Frequently, it’s better to learn about these topics in person and we can help with that. Next month, many security professionals will come to San Francisco to the RSA Conference 2018, and we’ll offer our own Google Cloud Security Talks at Bespoke in Westfield San Francisco Centre, a five-minute walk from Moscone Center, where the RSA Conference will be held. 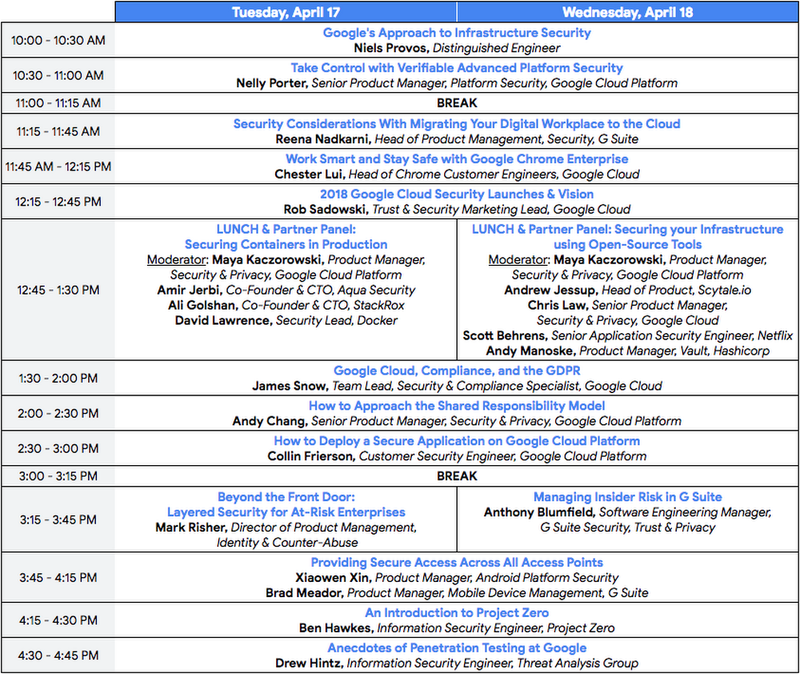 This series of 15 talks over two days will cover security across Google Cloud, the complex compliance and regulatory environment, shared responsibility, and best practices from Google’s own internal security processes. We’ll share more on our approach to security, as well as our roadmap from the beginning of this year through Next ‘18. 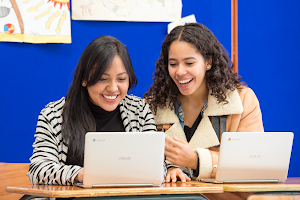 Among others, featured presenters include Ben Hawkes, who heads up Project Zero, and Mark Risher, who leads Google’s Identity and Account Security team. You can see the full agenda below and register for the event on our website. We’ll also have several interactive demos on hand to demonstrate how organizations can address security challenges such as ransomware attacks and data exfiltration. If you’re planning on attending RSA Conference 2018, please stop by—we’d love to say hello. For more information, or to register, visit our website.